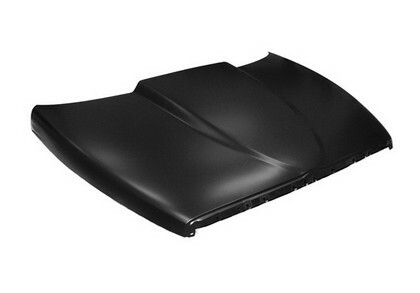 Key Parts Steel 2 Cowl Style Hood 94-01 Dodge Ram Steel 2" Cowl Style Hood 94-01 Dodge Ram, Key Parts 1582-035 Hood, Cowl Hood 94-01 Dodge Ram, Ram Air Hood 94-01 Dodge Ram, Steel Hood 94-01 Dodge Ram, Custom Hood 94-01 Dodge Ram, Cowl Steel Hood 94-01 Dodge Ram, Hood 94-01 Dodge Ram [Key Parts 1582-035 Hood] - $479.95 : 3rd Strike Performance, Your Source for Late Model MOPAR Performance Parts and Accessories! When it comes to rust repair, Key Parts Inc. is one of the leading suppliers of high-quality replacement panels. Founded by Tom Foster in 1992, the company started out as Fit-Rite Body Parts manufacturing replacement body panels that boasted great fitment and superior construction. Now with over two decades of experience they are the go-to name for both body shops and hobbyists alike. Based in Lynchburg, VA Key Parts has a massive 75,000 square foot warehouse that contains an extensive inventory which allows them to quickly fill and ship orders in order to keep their customer base happy. With an all-encompassing product lineup, good quality and excellent customer service Key Parts Inc. will be an industry leader for many years to come. Cowl Height (in): 2.000 in. AVAILABILITY: Ships direct from the manufacturer: Usually delivered in 1-2 Weeks, depending on shipping location. The two most common signs of freight damage are holes punctured by a fork lift or it's being dropped by the driver causing the corner to be bent.